Don’t miss this great catch from Brandenberry! 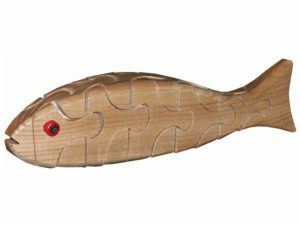 Because Amish Baffling Bass Puzzles provide oceans of fun for the whole family and guests, too. Just take the puzzles apart, and try reassembling them. And that’s the fun of Amish Books & Puzzles! 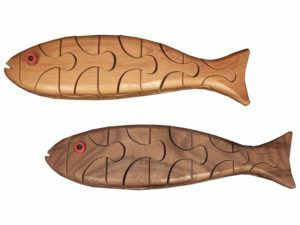 Amish artisans painstakingly handcraft each of the Baffling Bass Puzzles. And the Amish men use solid cherry, walnut or ash wood. This makes the puzzles sturdy, child friendly and absolutely captivating. These puzzles represent a few of the plethora of solid hardwood, custom-built, Amish-crafted furniture offered by Brandenberry. So check out everything else we have to offer. Because Brandenberry furniture is Amish-built for life. And custom-crafted for your lifestyle.